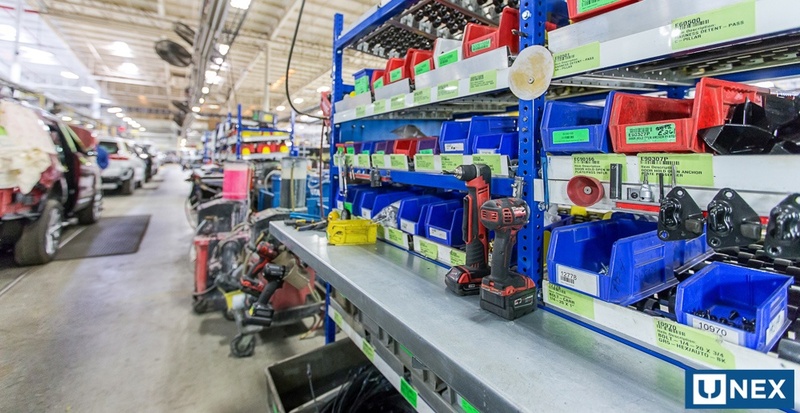 The core idea of lean manufacturing is to maximize customer value while minimizing waste. Simply, lean means creating more value for customers with fewer resources. The term "lean" was coined to describe Toyota's business during the late 1980s by a research team headed by Jim Womack, Ph.D., at MIT's International Motor Vehicle Program. There are many terms associated with lean manufacturing – so many in fact that it can be confusing. 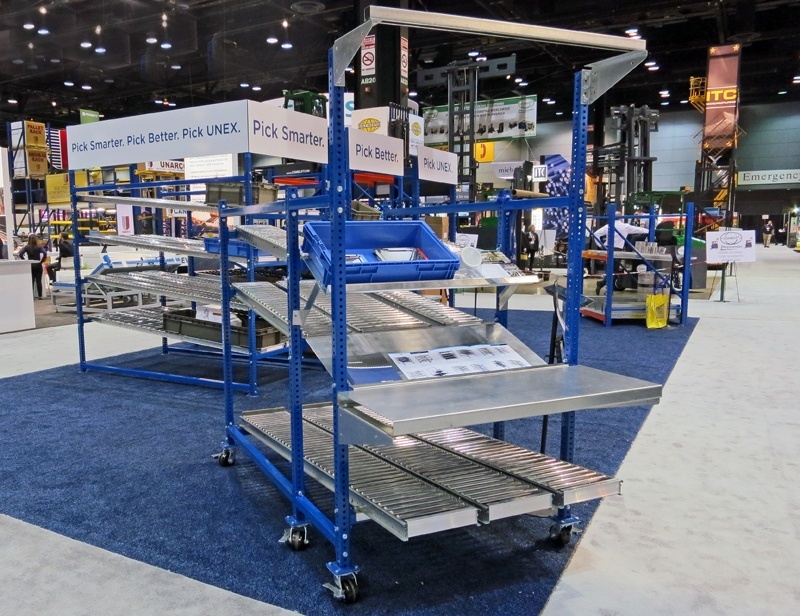 At UNEX, we believe in lean manufacturing and we use several of its principles in our own manufacturing process. Kaizen means continuous improvement and relies on employees to make suggestions for improvements. It is a concept that we share here at UNEX. Our sales team understands customers’ issues and challenges, then shares this with our engineers to build a solution to solve those problems and provide sustained value to customers’ operations. Kanban means visual cards used to control the flow of goods, adjust inventory or production levels or communicate tasks. 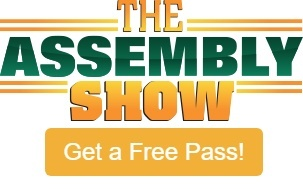 It is used to reduce waste and maximize efficiency in manufacturing supply chains. Total Productive Maintenance (TPM) offers 8 pillars for proactively managing preventative maintenance, helping to keep machinery in top shape to avoid delays in the manufacturing process. Andon is a system for notifying management about a problem. It empowers workers to stop production when a defect is found, and immediately call for assistance. Typically Andon involves a combination of lights or sounds to communicate the status. Heijunka means production leveling and is used to reduce Mura (unevenness) which reduces Muda (waste). The goal is to produce intermediate goods at a constant rate so that further processing may also be carried out at a constant and predictable rate. It also keeps levels of inventory down. Gemba means “The Real Place,” and encourages management to do the “Gemba Walk” - to walk around the facility and encounter employees at their work place. It helps management learn about any ongoing issues first-hand. Hoshin Kanri means literally “compass management,” but is a way for strategic corporate goals to be communicated throughout a company and then put into action. It is a big picture, top-down approach that ensures workers’ tasks contribute directly to the company’s broader goals. Ishikawa Diagrams are cause-and-effect diagrams that help identify the root cause of an inefficiency or problem in the plant using “5 whys” to find the answer. Muda means unevenness or wastefulness. It is the goal of Lean to reduce the 7 wastes, which include overproduction, inventory, waiting, motion, transportation, rework and overprocessing. With less waste, businesses are more productive, efficient and profitable. Overall Equipment Effectiveness (OEE) means to evaluate how effective a manufacturing operation or machine is utilized. OEE measurement is typically with key performance indicators (KPIs) that analyze downtime, performance and output quality. Plan, Do, Check, Act (PDCA) is a standardized framework for problem solving and improving efficiency. It is an iterative four-step management method used in business for the control and continual improvement of processes and products. It is also known as the Deming Circle. Standardized Work means to create and implement best practices for an organization or process to make the business more efficient. Visual Factory means visually displaying information to workers so they increase productivity and efficiency. This technique is part of the Pick-to-Light solution where lights tell order pickers what products to select to fill an order. Cellular Manufacturing or “one-piece flow” or U-Shaped Cells is a lean methodology encompassing the movement of a single product through the manufacturing process. One-piece flow redirects the workforce away from non-value added activities, such as having to search for parts, and focuses on the manufacturing process. Bottleneck Analysis is a way to uncover bottlenecks or barriers in the production process and develop methods that remove the particular issue causing the problem. ABC Analysis is an inventory categorization technique that ranks products in one of 3 categories: “A” items are the most important to the organization; “B” items are less important and “C” items are the least important. The ABC analysis provides a mechanism for identifying items that will have a significant impact on overall inventory cost. Continuous Flow Manufacturing entails running manufacturing processes with minimal disruption and little downtime. The goal is an optimally balanced production line with little waste, the lowest possible cost, on-time and defect-free production. Jidoka means intelligent automation and empowers workers to shut down a machine or stop production if there is a problem without waiting on a manager’s permission. It involves 4 processes: detect problem, stop systems, fix problem, investigate root cause. Just-In-Time is a manufacturing methodology where raw materials, parts or components arrive at a manufacturing step “just-in-time” for the process to occur. Items are made in response to actual demand so that storage and excess inventory is minimized. Key Performance Indicators (KPI) are a measurement technique for tracking progress in continuous improvement. KPIs must be clearly-defined, continually measured and analyzed for progress. Level Loading is a technique where goods are produced at a steady, constant rate so that the manufacturing process is balanced. With level loading, inventory levels are kept low and efficiencies are improved. Mind Maps are diagrams used to visually organize information, showing relationships among various ideas which are all connected to a central concept. Mind maps are often used for problem-solving or to uncover new opportunities. Poka-Yoke means mistake proofing and is a mechanism for avoiding mistakes in the manufacturing process and preventing defects. It prevents defects in the production process and cuts down on rework. 6 Big Losses identify and plan for the six most common productivity losses, which include unplanned stops, planned stops, small stops, slow cycles, production rejects and startup rejects. Single Minute Exchange of Die (SMED) is a lean production method for reducing waste in a manufacturing process. It provides a rapid and efficient way of converting a manufacturing process from running the current product to running the next product. The changeover needs to take place in less than 10 minutes. Takt Time is the average time between the start of production of one unit and the start of production of the next unit. SMART Goals mean Specific, Measurable, Attainable, Results-Focused and Time-Specific goals that help improve worker productivity, time management and efficiency. Value Stream Mapping is a lean-management method for analyzing the current state and designing a future state for the series of events that take a product or service from its beginning through to the customer. Analysts look at the visual map and find areas of waste or bottlenecks. No Defects is a methodology for eliminating all defects in a manufacturing process. It is a proactive approach for uncovering defects and finding solutions to eliminate them. 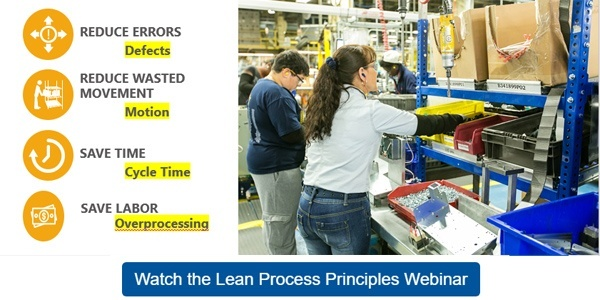 Want to learn more about lean process terminology and principles? Check out our webinar by our Flow Cell product manager!